Sometimes you just got to take a firm stand on a player now matter how many in the fantasy baseball community may disagree. For yours truly, Philadelphia Phillies third baseman Maikel Franco has been a guy I have been fully on board and a supporter of going back to his minor league days and into his initial foray into the majors. There have been some bumps and ups-and-downs along the way but my confidence in Franco's ability has never wavered as I reiterated in this year's Fantasy Sports Boss Fantasy Baseball Draft Guide and throughout posts here on the site. I did take some grief last year regarding Franco when he batted just .255 but instead I chose to focus on the 25 home runs he hit at the age of 23. Fast forward to present day and Franco just got done smacking his third home run of spring training (one an inside-the-park job) in showing a bat that is as scorching as any in baseball not named Michael Conforto. Also just like with Conforto, I believe in the ability no matter how many slump each guy endured in 2016. Now in terms of Franco and the notion that he was a disappointment last season, some realism is needed. The first issue is the fact that Franco's .255 average should have been better as his .271 BABIP was quite unlucky. Consider that the year prior as a rookie, Franco's BABIP was a neutral .297 and he batted .280. In addition, Franco's rate numbers are all terrific for a young hitter as his 16.8 K/9 rate was excellent and his 6.3 BB/9 rate was not terrible by any means. It stands to reason that with better BABIP luck and his very good strikeout rate, Franco could hit .280 or better this season. Then there is the power which is pointing itself toward the 30 mark this season as Franco has the hulking frame to be that type of slugger. With everyone talking about the top tier guys, Franco is getting lost in the shuffle a bit and his ADP of 140 is ridiculously cheap. I am all-in on Franco this season and it would behoove your to do so also. Only two games manning the DH spot in spring training games, New York Mets third baseman David Wright reported discomfort in his shoulder that soon was diagnosed as an impingement. The Mets sent Wright back to New York to be examined further but team sources are already saying he is certain to begin the 2017 season on the disabled list. Wright's absence creates some moving parts on the Mets infield as Jose Reyes will now be the starting third baseman Opening Day and Lucas Duda's continued back problems also is adding to the turmoil. With Wright so far losing his battle against spinal stenosis, there is also the idea permeating around Mets circles that retirement could be on the horizon. While that is a topic for another day, anyone who had any interest in Wright in NL-only formats should obviously move on. It is looking like a brutally sad ending to the career of one of the good guys in the game. Minnesota Twins closer Glen Perkins is scheduled for his fifth bullpen session this Thursday as he grows closer to finally getting to be able to pitch in an exhibition game which would mark a major turning point in his comeback from shoulder surgery. Perkins underwent labrum surgery in his shoulder last season and suffered a setback leading into spring training but he is feeling better and better with five weeks to go in spring training. Be that as it may, Perkins is not expected to be ready to go for Opening Day as Brandon Kintzler will close games early on in the season. I have said from the beginning that Kintzler is not worth the expected trouble given his brutal K/9 rate and very hittable stuff. Meanwhile Perkins is looking like more and more of a decent very late round grab as he should eventually pitch in the ninth inning again once healthy. Toronto Blue Jays third baseman Josh Donaldson took batting practice outside on Tuesday which indicated that he is almost ready to get into his first spring training exhibition game. Donaldson has been limited the last week with a mild calf strain but his status as a firm first round pick in fantasy baseball is secure. Finally we are at the last post of my annual "Players I Will Draft/Avoid" in 2017 as I share with you those starting pitchers I will look past in drafts this spring. Keep in mind if some of these guys fall below their ADP's my opinion may change but this is where I am at right now. 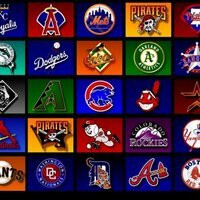 Clayton Kershaw, Max Scherzer, Noah Syndegaard, Madison Bumgarner, Chris Sale, Stephen Strasburg, Corey Kluber, Johnny Cueto: These are the top tier starting pitchers that will command the highest prices and so I won't be chasing them since I don't believe it drafting guys from this group that high. Even beyond the ADP's though, I would avoid Strasburg, Cueto, and Syndegaard for the additional reason of being prime injury risks. I could go with Sale if he drops far enough but not likely. Masahiro Tanaka: Tanaka is still pitching with a partially torn UCL in his elbow and his velocity has dropped since 2014 when it was first diagnosed. His K/9 has also dipped from the 9 range to mid-7.00 as well during that span. Kyle Hendricks, Aaron Sanchez, Rick Porcello: I grouped these three together because they are all in the same boat in terms of being average K/9 guys who pitched above their heads results-wise last season given some VERY generous BABIP and strand rate luck. Each of them could see their ERA just a full run this season and the K rate remains shaky. Also never buy off a career season. Jake Arrieta: I am quite disturbed what went on with Arrieta the second half of last season as he completely lost his control, his velocity dipped noticeably, and his ERA spiked to 3.10 from 2015's 1.77. Carlos Martinez: I am still quite leery of the yearly shoulder scares that Martinez goes through and his walks are nothing to write home about. Terrific talent for sure but Martinez is a decent-sized injury risk. Kenta Maeda: We already know that an MRI done on Maeda's elbow last season was one big red flag and pitchers who come over from Japan almost always succumb to Tommy John or suffer UCL injuries (Daisuke, Tanaka, Darvish). Gerrit Cole: We have seen some elbow scares here as well and Cole's K/9 rate plummeted last season which was quite scary. No thank you. Felix Hernandez: You got to know when to walk away from a fading big name and that is King Felix at this stage of his career. His arm has already had a ton of mileage put on it starting at a very young age and we saw what that did to Matt Cain and Tim Lincecum. Michael Fulmer: I think Fulmer is going to be way overpriced this season. His rookie campaign was incredibly good but Fulmer only stuck out 132 batters in 159 innings and needs some BABIP luck to keep his ratios down in the AL. Took many by surprise last season but a decent sophomore slump is within the realm of possibility this season. Rich Hill: What an incredible story Hill has been but he can't stay healthy for more than a few starts in a row and his age makes him a decent bat to slip sharply. Danny Salazar: Another one who is looking Tommy John surgery squarely in the face. J.A. Happ: Another guy who pitched way over his head last season as Happ was previously a beat up journeyman pitcher. With a mediocre K/9 rate and with very good BABIP luck from last season unlikely to be repeated, Happ could be a bomb. For the second time, the New York Giants have placed the franchise tag on defensive end Jason Pierre-Paul. Having decided to tag Pierre-Paul over defensive tackle Jonathan Hankins, the Giants go into the offseason believing it would be tougher bringing back their top pass rusher. Pierre-Paul has said publicly that he would not play under the franchise tag again. Analysis: This could get quite ugly between the two sides as Pierre-Paul can be high maintenance and was clear he didn't want to be tagged again. Stay tuned. The Pittsburgh Steelers slapped the franchise tag on running back Le'Veon Bell, assuring he will return to the team in 2017 under the one-year deal or under a bigger pact that can be negotiated going forward. Analysis: No shock here as there was no way the Steelers were going to let the best running back in football exits stage left. The tag always angers players given the one-year nature of the deals but at least Bell will be compensated nicely for next season. Port Charlotte, Fla.--The Tampa Bay Rays continue to operate on a shoestring budget and a never-ending conveyor belt of power pitching coming out of their farm system to try and remain relevant in the ultra-competitive AL East. While it has become easy to discount the Rays' chances on a yearly basis, we have seen them rise up before with no expectations attached. Let's check out some of the more pressing fantasy baseball issues circling the team. 1. Chris Archer went down as a decent-sized disappointment last season after his big 2015 emergence. Which way does he go for this upcoming season? There is no denying the fact Archer forced a lot of his fantasy baseball owners to rip out their hair last year, especially in the first half when he compiled a hideous 4.66 ERA and 1.44 WHIP. We told you all to buy low on Archer at that point though as he was still missing a high number of at-bats and his advanced numbers pointed toward a rebound. That is exactly what happened as Archer pitched to a much better 3.25 ERA and 1.01 WHIP in the second half as he looked more like the ace pitcher he was expected to be. And that second half performance is what we expect to see out of Archer for the majority of 2017 as the power righty remains one of the best strikeout artists in the game. Consider that over the last two seasons, Archer has struck out 253 and 233 batters for 10.70 and 10.42 K/9 rates respectively. That is ace stuff folks and also keep in mind that Archer's HR/9 rate went into outlier territory last season (1.34 compared to 2015's 0.81). If Archer jobs back the HR/9 rate closer to his usual norms, he will be a low-3.00 ERA pitcher with a boatload of strikeouts again. Big aggressively. 2. Speaking of young power arms, how good can Blake Snell be? Snell is simply the latest in a very long line of power arms to come out of the Rays system (Archer, David Price, Jake Odorizzi) as he struck out guys at an insane 11.57 and 12.86 K/9 rates the last two years at Triple-A. He was not too shabby on that front in his 89-inning debut with the Rays last season either as he logged a still high 9.91 K/9 rate. Alas the problem with Snell is a big one and that is an utter lack of control (4.00 BB/9 at Triple-A and 5.16 BB/9 with Rays) and that could undermine him in his first full major league season. Snell has the overpowering stuff to be a fantasy baseball ace in short order but his WHIP could be ugly if he doesn't find any sort of sense of control. We have seen plenty of power arms come up and struggle with control and then figure things out, so Snell is still a must have sleeper. The kid is going to be a good one. 3. How much of a fluke was Brad Miller's performance last season? Simply put, not even Miller's mom could have seen him hitting 30 home runs with 81 RBI in 2016. Consider that Miller's previous MLB high was 11 and we have a major outlier candidate here. Of course Miller was tapping into his prime years for the first time in his career and we have seen post-hype sleeper breakouts like this before. However opposing pitchers won't be sleeping on Miller this time around and keep in mind he still batted a terrible .243 with all those homers last season and stole just 6 bases. With an ugly 24.8 K/9 rate, Miller is unlikely to hit better then .260 at most and we think he is more of a 20-homer guy then a 30. Very likely regression candidate who we would avoid. 4. We all know how great of a defender Kevin Kiermaier is but maybe we should start looking at him more closely in fantasy baseball as well? It certainly seems that way as Kiermaier has put up 10/18 and 12/21 ratios in the home runs/stolen base categories the last two years. Yes the .263 and .246 averages were very ugly but last season in particular actually showed growth there. Consider that Kiermaier walked at a career-best rate in his BB/9 at 9.7 and his .278 BABIP was quite unlucky. We are not saying Kiermaier will bat .300 or even .280 but .265 is very possible and looks better than last season's .243. No one wants Kiermaier in drafts and so his dirt-cheap cost makes him a great outfielder 3 candidate you can snag very late. 5. There should be restraint when it comes to how much we should pay at the draft table for closer Alex Colome right? We think so due to the fact that as great a closer as Colome has become, he is a major trade candidate at the July deadline. There is no guarantee that Colome will close with whatever team acquires him and so his 2017 draft cost is likely too inflated already. Now Colome has the goods as evidenced by his excellent 1.91 ERA and 11.28 K/9 rate last season but the chances of him being traded are quite high. Cincinnati Reds hurler Anthony DeScalfani was scratched from his schedule Tuesday start due to renewed soreness and discomfort in his left pitching elbow. DeScalfani has been extremely limited thus far in camp and the fact he has elbow discomfort could get him sat down for at least a week and maybe longer. While he can be classified as unheralded, DeScalfani was quite good in 2016 as he pitched to a 3.28 ERA and 1.22 WHIP in 123.1 innings. While the ratios are nice, DeScalfani doesn't strike out a lot of batters and he is ideally would be yours SP 5. This news though won't make us run out to get him even in that setup. Boston Red Sox first baseman Hanley Ramirez has only been able to man the DH spot for the team in early spring training games due to a bout of shoulder soreness. Ramirez has admitted the soreness is a bit more painful than what would be considered minor but the fact he is playing in games is a good indication that he should be all right. Keep in mind though that Ramirez has battled more than a few injuries over the last three years and that ultimately will determine where his fantasy baseball value will go this season. With just first base eligibility and speed that has left the station, Ramirez is going to have a tough time replicating the 30 home runs he put up in 2016. That means Ramirez is likely going to be a big overpriced this season and so you must be aware of what you are willing to spend on the veteran. -Entering into 2017 spring training, the New York Yankees made it clear that there would be a battle for the last two spots in the team's starting rotation. Team brass didn't hide the fact they wanted Luis Severino to win one of those spots coming off his horrific 2016 campaign that got him sent back to the minors after his eye-opening 2015 debut. The key with Severino was being able to develop a third pitch to go with his impressive fastball and and solid slider but his excellent work in the bullpen last season led many to think he would be better served there. Alas Severino got off to a nice start Sunday by tossing two scoreless and hitless innings. Severino remains attractive in fantasy baseball circles given his strikeout stuff but he needs to do much more of this to secure himself a spot. -Starlin Castro is starting to become a boring veteran now that he doesn't run anymore and his average is mediocre. Alas Castro was very good in his Yankees debut last season in reaching a career-best in home runs with 21 but with just a .270 average and 4 stolen bases. He cracked a home run Sunday against the Toronto Blue Jays and he has clear top 12 value as a second baseman in fantasy baseball 2017 with a nice price tag. -Wow was Tyler Glasnow overpowering in his spring debut Sunday as he struck out six of seven Baltimore Oriole batters he faced in his two scoreless innings. There is significance upside here with Glasnow who has battled serious injuries in his past and some stark control problems. His fastball is very capable of big strikeout totals though but his WHIP figures to be an issue. -Danny Salazar looked very good in his spring debut for the Cleveland Indians Sunday as he struck out 3 Chicago Cubs in two scoreless innings. Salazar took a step back in 2016 after his monster breakout the year and he ended the year with a scary forearm/elbow issue. No surgery was required but it served as a reminder that Salazar is a big injury risk given how hard he throws and his tailor-made Tommy John surgery makeup. Also keep in mind that the control woes that sent Salazar back to the minors in 2014 reared its ugly head again last season. The price has come down a bit on Salazar this season but he still commands a hefty penny. -Adam Jones hit a home run for the Orioles as he batted second for the team Sunday. Fantasy baseball owners of Jones don't want him batting leadoff like he did for large stretches of last season as it hurt his RBI totals but either way he is still his 25-30 home run self but with a loss of stolen bases. -Talk about looking at a ton of prospective RBI, new Toronto Blue Jays DH Kendrys Morales smacked his first spring home run Sunday as part of his 2-for-2 day. Morales is hitting behind both Jose Bautista and Josh Donalson which means an easy 100 RBI and in that ballpark, 30 home runs are likely as well. With a draft price that is annually affordable, Morales is a tremendous buy. -Yu Darvish tossed 1.2 scoreless innings but he walked two and gave up a bunt single. Not a clean effort but all we care about is Darvish making it through the spring intact. He can lead baseball in strikeouts if his health cooperates. -I want Chris Archer on all of my teams this season as he has been as good a strikeout artist as there is in baseball the last two years. Yes his ERA spiked over 4.00 last season but that is because of an out-of-whack home run rate. Get back fully on board here. -Rich Hill tossed two hitless innings for the Los Angeles Dodgers in his spring debut and once again it is jaw-dropping seeing how dominant he has been since coming back to the majors in late 2015. Health is never a given here but on a start-by-start basis, few pitchers are better than Hill going back to the beginning of last season. -There is not a hotter player in fantasy baseball than New York Mets outfielder Michael Conforto who smacked his second spring homer Sunday and now has four hits in six at-bats thus far. Right now there is no way Terry Collins can think of not having Conforto in the lineup when the season begins no matter how crowded the outfield/first base get. When spring training gets underway and the exhibition schedule commences, it is always a good idea to cover the emerging stories and players that could pay off big as late round sleepers. One such story is taking place in the revamped Seattle Mariners outfield as late bloomer Mitch Haniger has become the object of manager Scott Servais' eye. Servais has done nothing but praise Haniger up and down since spring training got underway and he continued to do so on Saturday as he installed him as he batted him sixth for the Cactus League game that afternoon. So with that said, let's dig in more on Haniger who clearly is becoming something to keep in mind as a late round pick. Already at the advancing age of 26 for a player who has not done much in the majors, Haniger is your consummate late bloomer who traveled through the Milwaukee, and Arizona systems before landing in Seattle in the Jean Segura trade this past winter. Already acknowledged as an excellent defender in rightfield, Haniger's bat began to talk at both Double-A and Triple-A last season for the D-Backs. In total, Haniger cracked 25 home runs and stole 12 bases at the two levels which no doubt is eye opening but he did that damage in the offensive haven that is the PCL. That means some of Haniger's numbers last season in the minors need to be taken with a grain of salt but clearly the guy has some tools in the power and speed department. How that translates to one of the best pitching parks in the majors is the ultimate question but at least Haniger should be put on late round sleeper lists to see what he does have in terms of ability. Haniger did hit only .229 in his 34 games with the D-Backs late last season but he also hit 5 home runs which again speaks to the power. With a K/9 rate with Arizona that was not awful at 22 percent in his cup of coffee run and with Haniger drawing walks at a very impressive 9.8 BB/9 clip, there is a lot to like here. Haniger has always drawn a bunch of walks in the minors, going as high as 12-plus percent with his BB/9 and that means he should be at least a decent average guy to go with solid power and the wheels to take some bases. Again Haniger is an emerging story that needs to be looked at in fantasy baseball this drafting season and so let's see where this takes us. One of the biggest early storylines of 2017 fantasy baseball is the fractured knuckle on Washington Nationals ace starter Max Scherzer's index finger that has sounded alarms. Scherzer himself fanned those alarms when he said last week he may not be ready to answer the bell for his Opening Day start due to experiencing pain when he tries to throw his fastball. On the bright side, Scherzer was in fact able to throw his fastball during his bullpen session early Sunday but with an altered three fingers grip instead of two. This is becoming quite a concerned now for Scherzer and his fantasy baseball owners when it comes to the fact he is still feeling the same pain with a two finger grip that he felt last August. Clearly someone dropped the ball here in terms of not remedying the situation before spring training got underway and now we have to start toying with the idea of dropping Scherzer down a bit in your fantasy baseball pitching rankings. Cleveland Indians second baseman Jason Kipnis has been shut down the next five days due to a bout of rotator cuff pain in his shoulder. Kipnis has already gotten a cortisone shot but manager Terry Francona admitted that he is a bit concerned about his availability moving forward. Heading into 2017 fantasy baseball, Kipnis is generally regarded as a solid but unspectacular second baseman who carries much less flash then his earlier days when he was stealing 30 bases. The numbers have been all over the map with Kipnis the last two seasons which makes him hard to nail down a value on but his draft price is quite cheap given the solid level production. Obviously the injury will say a lot about what to do with Kipnis moving forward but for now it is a smart idea to drop him down your cheat sheets some. Lakeland, Fla.--The Detroit Tigers tried in vain to win a World Series for the recently late owner of the franchise Mike Illitch but unfortunately were not able to do so despite having some of the more productive players at their various positions in the game. They return a star-sudden team again for 2017 but the vibe is that the Tigers are ready to tear it down and start over by shedding some of their aging but still very good star players. So as always let's get to the most pertinent fantasy baseball issues concerning the club. 1. I guess Miguel Cabrera is not done being a fantasy baseball MVP bat is he? Not so much as Cabrera was as good as ever in 2016 which did reverse a trend of two below expectation seasons in 2014 and 2015. Having good health played a key role in Cabrera batting a scorching .316 with 38 home runs and 108 RBI. Clearly Cabrera's batting eye is as good as ever, along with the potent power. Still you have to keep in mind that Cabrera will be turning 34 in April and guys with his body type usually don't age well at all. Perhaps telling is the 17.1 K/9 that Cabrera had last season was the second time in three years he hit that mark and was his highest since 2008 outside of that number. Still draft Cabrera as a late first round pick but the risk is growing. 2. Like with Cabrera, Justin Verlander did the pitching comeback equivalent as his slugging first base teammate? Yeah that one was a shocker as it looked like Verlander's arm was shot after years of very heavy inning usage resulted in a sky-high 4.54 ERA and a pathetic 6.95 K/9 rate. Whether he was pitching through injury or not, Verlander came back with a 3.38 ERA in 2015 and then a Cy Young-worthy campaign in 2016 with a 3.04 mark. Even more impressive was the fact Verlander posted the second-highest K/9 rate of his career at 10.04 which resulted in 254 strikeouts. A tremendous season no doubt but count us as detractors as Verlander is 34 and still has that ridiculous mileage on his arm. Plus Verlander's 1.19 HR/9 rate was by far a career-worst and his .255 BABIP was one of the luckiest marks in the majors. Consider that Verlander's XFIP ERA was 3.78 and one gets the correct notion Verlander was not as good as his surface numbers indicated last season. Big on name brand, Verlander will likely be a bit overpriced this season and thus one you might want to think twice about drafting. 3. Speaking of pitches, what can Michael Fulmer do as an encore to his 2016 Rookie of the Year performance? After a very rough start his first few major league outings, Fulmer was simply unhittable for a large chunk of the summer as he went on to pitch to a splendid 3.06 ERA and 1.12 WHIP. No doubt terrific numbers but the sophomore slump is in play here as Fulmer was a bit lucky in gaining the numbers he did last season. For one thing, Fulmer's .268 BABIP was very lucky and his FIP ERA of 3.76 and XFIP ERA of 3.95 tell a different story about his ability. Also keep in mind Fulmer is not a strikeout pitcher as shown by his 7.47 K/9 rate as a rookie. When his luck regresses this season and without having the strikeouts to overcome this to a degree, Fulmer could be a decent bust. 4. Is is time to stop expecting greatness out of Justin Upton? While a very good player, we are not going to see Justin Upton the superstar first round pick. The guy is as streaky a hitter as you can get in the majors leagues, seemingly alternating one horrid month with a scorching one. By the end of the season, Upton usually has his 25 home runs and 90 runs and RBI but he is losing steam as a base runner (just 9 steals last season) and his average has become very nasty (.251 and .246 the last two years). Again a very solid outfielder 2 but Upton is never going to be the star many predicted he would be. 5. Is Francisco Rodriguez on borrowed time as a closer? There are only a few closers we wouldn't touch more than Rodriguez as he continues to leak velocity and now is allowing a ton of home runs. In fact it seems like almost a given Rodriguez will be replaced out of the ninth inning given his age and vastly declining stuff and so a long look needs to be given to Bruce Rodon and Alex Wilson. Rodon has the fireballing stuff but awful control, while you can say the opposite of Wilson. Whichever way you look at this situation, the closing setup in Detroit is looking scary to say the least. Chicago Cubs manager Joe Maddon came out and suggested that infielder Javier Baez will "have a tough time" getting consistent playing time, at least early in the season given the presence of Kyle Schwarber returning to everyday duty. With Addison Russell and Ben Zobrist manning the other middle infield spots, Baez is likely looking at utility/backup duty unless injuries open up more time. While Baez still strikes out too much, he retains very intriguing power/speed upside to go with eligibility all over the diamond. At least for now though, Baez' 2017 fantasy baseball value is looking a bit overinflated at the draft table. Baltimore Orioles closer Zach Britton proclaimed himself recovered from the oblique pain he was dealing with over the last week. Britton will be allowed to take part in a bullpen session as a result sometime in the coming week and thus he has no restrictions moving forward. Obviously Britton's insane 2016 performance puts him at the top of the 2017 closer grid but we still would go with Aroldis Chapman and Kenley Jansen before calling his name. -Boston Red Sox outfielder Mookie Betts is the consensus number 2 player in 2017 fantasy baseball coming off his insane 2016 campaign where he established himself as the best five-tool player in the game behind Mike Trout. Betts got off to a nice spring start Saturday when he went 2-for-3 with two runs scored. What is interesting is that it will be second baseman Dustin Pedroia and NOT Betts who will lead off for the Red Sox this season, helping the fantasy baseball value of both. For Pedroia, it will lead to 100-plus runs and his customary .300 average, while Betts can pad his RBI and other five categories. -It looks like the New York Mets are already looking for a way to get Michael Conforto's bat on the field as manager Terry Collins said Saturday he will allow Neil Walker and Jay Bruce to get reps there. It just how happened that incumbent first baseman Lucas Duda was sidelined for Saturday's game with renewed back pain that goes back to 2016. With Duda now clearly being a guy who we can say has a chronic back problem, Conforto could very well claim a starting outfield spot, with Bruce manning first. Conforto has a home run and two RBI already this spring in two games and his post-hype sleeper upside is very immense. Count me as a firm believer in the ability. -Nelson Cruz is already on the home run board as he hit his first of the spring on Saturday. After swatting 43 a year ago, Cruz is right there as one of the best low-end outfielder 1's in fantasy baseball this season. He is aging a bit but Cruz is showing no signs of letting up. What is perhaps most impressive is the fact Cruz is doing his best career work later in his career and at a prime pitching outpost. -Mike Montgomery pitched a scoreless inning with two walks in his spring debut for the Chicago Cubs. Manager Joe Maddon went on record saying both Montgomery and Brett Anderson could split the fifth spot to protect their health and innings, with the former carrying some solid upside as a power arm. Not the worst way to spend a late round pick. -Washington Nats outfielder Bryce Harper seems set to destroy opposing pitching as he went 2-for-2 Saturday with a mammoth home run. With Harper's shoulder now healthy, it wouldn't shock me in the least if he brought back his 2015 video game numbers. -Anyone who has been a firm reader of this site knows how much love I have for Christian Yelich and his overall ability. While he has been too groundball heavy thus far in his career, he launched a home run Saturday which was perhaps a nice sign moving forward. Coming off a 21-home run season where he collected 98 RBI, and batted .298, Yelich can go even higher in 2017 given the fact he is just 25. While he ran less last season, Yelich could easily be a 25-stolen base guy to go with a .315 average and 20-plus home runs. I want him. -Victor Martinez cracked a home run Saturday as part of his 1-for-3 day. While Martinez is approaching 40, the fact he DH's on most days preserves his body and makes one think he can squeeze out one more decent year. He has hit for big power in two of the last three years but the hom runs can be a bit volatile overall with Martinez. -Hector Neris did himself no favors by blowing a save for the Philadelphia Phillies on Saturday. While he did get the win, Neris did not give the Phils management a reason not to go back to the soft-tossing Jeanmar Gomez to close games to start 2016. I am thinking more and more Joaquin Benoit is the handcuff to Gomez. -I absolutely want Pittsburgh Pirates outfielder Gregory Polanco on all of my teams. Polanco stole two bases on Saturday as part of his 3-for-3 day. While he was hampered by injuries last season, a fully healthy Polanco could easily vault himself to top tier outfielder 1 status this season. -Maikel Franco went yard twice Saturday for the Phillies and keep in mind this is a guy I have liked for awhile now. Off a somewhat disappointing but still solid 2016, Franco comes a bit cheap in 2017 fantasy baseball which makes for a nice buying opportunity. I would pounce. A nice value play presented itself among the starting pitching fraternity last spring when it came to Texas Rangers ace Yu Darvish. While Darvish was expected to begin the 2016 season on the DL as he further recovered from Tommy John surgery, he reputation as arguably one of the very best strikeout artists in fantasy baseball made him one to target in drafts given his depressed cost. I was one of those who took advantage of the discount on Darvish as I selected him in the Experts League draft. Well as it often happens, the best laid plans didn't go according to the script as Darvish quickly came down with shoulder trouble after returning in May; an injury that sent him right back to the disabled list. Even when he came back in June, Darvish mixed some good and bad the rest of the way; while being particularly rough in September/October as he posted an ugly 4.40 ERA when his owners needed him to pitch well the most. For the entirety of his 100.1 innings in 2016, Darvish registered an ERA of 3.41 which was not bad coming off Tommy John and even more encouraging, his dominant 11.84 K/9 rate was just off his career-best of 11.89 set in 2013. Finally, Darvish actually shocked everyone when he put up a career-best 2.78 BB/9; a mark that was double impressive coming off the surgery. For a guy who annually struggled badly when it came to walks and high pitch counts costing him wins, this was a nice memory to take into 2017 fantasy baseball. Now digging in more on the upcoming season, Darvish entered into spring training with a clean bill of health and has had no problems thus far. 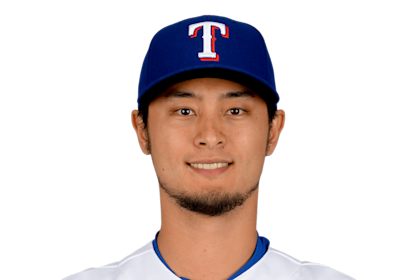 At a still young 30, Darvish has every right to go right back to his ace level in fantasy baseball and he surely will make a run at another strikeout title if he can avoid elbow/shoulder trouble. And if Darvish can keep up with a BB/9 rate under 3.00, a mid-2.00 ERA is in the cards as well. Finally with a draft price that is cheaper then the Noah Syndegaard's, Corey Kluber's, and Madison Bumgarner's of the world, Darvish is looking like a nice buy. He just has to stay healthy though which is far from a given when it comes to guys who throw as hard as he does and with the history of pitching insane inning totals in Japan. All throughout the winter I have told you all not to give up on sweet-swinging New York Mets outfielder Michael Conforto who looks like as big as post-hype sleeper about to make good as I have seen this season. Yes Conforto was brutal once April was in the books last season but the kid deserves a mulligan given the fact he had very little seasoning at the minor league level before the Mets rushed him to the majors in 2015. That showed when he struggled to adjust through a slump in the middle of 2016 and it helped get him sent back to the minors. However Conforto is universally lauded in the baseball circle and his future projections by almost everyone has him as a 25-homer guy with a .280-.300 average. He got his spring off to a nice start by homering in the team's exhibition opener and now we get word that Mets first baseman Lucas Duda is already dealing with back pain. Keep in mind Duda missed half of 2016 with ongoing back trouble and we could be looking at a chronic thing here. With Duda's status very iffy, the opportunity is there for Conforto take hold of the starting first base job which will add versatility to his name and also get his bat into the lineup. The Mets outfielder is very crowded with Jay Bruce, Curtis Granderson, and Yoenis Cespedes and so Duda missing games is the only way Conforto will play at a consistent basis. The stock on Conforto is pointing up and this could get very promising indeed. Detroit Tigers outfielder J.D. Martinez was scratched from the team's exhibition lineup Saturday with what the team is calling a sore pectoral muscle. No word on the severity or when/how Martinez injured the pectoral but the Tigers will likely treat him with a cautious approach this early in the spring. Analysis: Count me among those who are big fans of Martinez who is quite underrated as a proven 30-homer bat who also can hit for average. With so many sluggers in today's game also toting nasty averages, this is not something to look past when weighing Martinez' value. He is a top OF 2 bat in 2017 fantasy baseball. Arizona Diamondbacks outfielder/third baseman Brandon Drury made sure to put himself in the best position possible to claim a regular spot on the team during 2017 spring training as he reportedly showed up to camp with 10 new pounds of muscle packed onto his 24-year-old frame. While far from a top prospect as an original 13th-round pick of the Atlanta Braves in 2010, Drury put himself on the map when he came up last season and cracked 16 home runs and batted a solid .282 in 499 at-bats. Having shown a good eye at the plate for a rookie as evidenced by a low 20.0 K/9 rate and a decent enough 6.2 BB/9, Drury clearly has an idea of what he is doing at the dish and the power was eye-opening for a previously unknown guy. Drury has earned himself a long look this spring and it appears the D-Backs at the very least will have him aboard as a utility guy or even as a starting outfielder or third baseman. For the price of a very late round pick, you can find out if last season's power output is for real. There is a chance given the power and solid hitting rates that Drury could be a plus in the average, runs, RBI, and home run categories for the cost of almost nothing. While he has zero speed, Drury should be on your sleeper list given the upside. For a guy who has only 20 major league at-bats under his belt, Chicago White Sox super prospect Yoan Moncada certainly has a loyal following already in the fantasy baseball community. That is what happens when you get signed out of Cubs by the high-profile Boston Red Sox amid great fanfare and then become the prime piece dealt to the Chicago White Sox in the trade that brought ace Chris Sale to Beantown. Still just 21-years-old, Moncada is considered the number 1 prospect in the game and already is becoming a prime and highly sought after sleeper in 2017 fantasy baseball drafts. Moncada is already working out at the White Sox spring training facility in Arizona amid talk the team will convert him to becoming an outfielder and that move along would add more versatility to a guy who carries third base eligibility heading into the new season. Now in terms of the numbers and Moncada's game is concerned, think Manny Machado with better wheels here. Yes that is a very lofty comparison to say the least but Moncada has that type of vast ceiling given his blazing speed and burgeoning power. While Moncada strikes out too much (30.9 percent at Double-A in 2016), he stole 49 and 36 bases in A-Ball and swiped 0 in just 209 at-bats last season at Double-A. Pitchers have some holes they can attack on Moncada like they do with most other young hitters who swing hard but again the tools here all point to a future 20/20 guy who can even better those ratios if he continues to develop at a high rate. In terms of what to do with Moncada for 2017 fantasy baseball, you are going to have to pay a decent price to land him in the middle rounds given the hype here and that is what makes this play a big dicey. For one thing, Moncada may very well begin the year in the minors to further learn the outfield and get his bat more up to speed. A promotion in May would seem to be the most realistic path for Moncada and that alone should give you pause about paying the sticker price. However five months of Moncada could be sweet and so a middle round pick is not totally crazy. Ultimately if the draft turns into the second half of rounds, then feel free to strike. Otherwise let someone else pay top dollar for a guy who may not fire fully until 2018. Houston Astros outfielder George Springer met with reporters early on Friday and a fantasy baseball-related topic came up concerning his utter lack of running in 2016. After Springer put up a boatload of stolen bases in the minors, he suddenly lost interest in that part of the game last season as he swiped all of 9 bases in a crazy 744 at-bats. Springer was asked if he would steal more this season and his answer was not a promising one for those who are interested in him for 2017. Basically Springer said he would only steals "when the right situation arises" which is code for "no I won't be running much." This is a problem for his overall fantasy baseball value as Springer was drafted as an outfielder 1 last season based on the premise he would be a 20/20 guy and that clearly did not happen. Now with the fact Springer is not running, his annually shaky batting averages (.261 last season) becomes more of a problem. In addition, Springer's 29 home runs last season were impressive but in 744 at-bats not as much. He currently stands with an ADP of 30.3 which is grossly inflated given these issues. I am for one not interested in drafting Springer given the negatives in steals and average and that inflated draft price. Neither should you as well unless he falls into the fifth round. Cleveland Indians outfielder Michael Brantley took part in a full batting practice session Friday as he took another step in his latest attempt to come back from shoulder surgery. Brantley has had two surgeries on his shoulder and manager Terry Francona has said that he won't rush his outfielder to be ready for Opening Day after the team made that very mistake last season which resulted in a setback and the second procedure. With a ridiculously depressed ADP of 184, Brantley now shapes up as a terrific fantasy baseball value play if the shoulder responds. Last but not least we have the starting pitching in terms of those fantasy baseball players we will target in drafts. As always I continue to stress not to draft pitching early and so let the Clayton Kershaw's and Max Scherzer's of the world go on by. The depth here remains as extreme as it gets so target these more affordable and very quality pitchers. Carlos Carrasco: Yes he has battled a bunch of injuries lately but Carrasco has ace-level stuff that can accumulate 200 strikeouts in no time. His WHIP has been 1.07 and 1.15 the last two years, while the ERA has come in at 3.63 and 3,32. Ascending. Danny Duffy: Count me as a Duffy converted fan as he has finally smoothed out his previously awful control which has allowed his potent strikeout stuff to take off. He just needs to keep the high home run number from last season more under control. Matt Harvey: Yes it was beyond ugly last season for Harvey who was hammered all year to the tune of a 4,86 ERA and then he underwent the scary thoracic outlet surgery that has ended a few careers prematurely. Still despite all that, Harvey has looked crisp and confident in spring training and his fastball has life back on it according to all involved. Remember Harvey was a fantasy baseball ace going into 2016 and the price won't ever get cheaper. Jose Quintana: Of course the ultra reliable, underrated, and longtime favorite of yours truly is on this list. He continued to get better in 2016 as Quintana posted a career-best in ERA (3.20), WHIP (1.16), and strikeouts (181). Marcus Stroman: Yeah I hate the division but talk up the 4.37 growing pain ERA last season and get fully on board this six-pitch future ace. With uncanny control for a young starter, Stroman is the real deal. Jon Gray: I am hot shying away from this Coors Field pitcher one bit as Gray is set to become one of the next great power arms in the game. His 4.61 ERA last season was ugly but it should have been a full run lower due to some brutal BABIP luck and 185 whiffs in just 168 innings show how potent the stuff is. Along with this next guy, Gray is right there at the top of my sleeper pitcher list. Aaron Nola: Was pitching like an ace and had the numbers to back that up midway through May before injury struck in the form of a scary elbow issue. Nola got hammered before being shut down for good but all of his advanced numbers and analytics show at worst an SP 2-type pitcher. Go get him. James Paxton: Has pitched to 3.90 and 3.79 ERA the last two years, operates in spacious Safeco Field, and Paxton upped his K/9 rate sharply last season to all point to well above-average stuff. Steven Matz: Was going to pass on the talented but always hurt Matz until I saw his 147 ADP. That is a very cheap price for a guy who is yet another ace-type pitcher. When he has been healthy, Matz has averaged a K/IP and is hinting at around a 3.00 arm. Sean Manaea: Had a 2.44 ERA and 0.99 WHIP his last 13 starts of his 2016 rookie campaign and the ballpark is always nice to pitch in. The screen in Oakland is allowing a ridiculous 175 ADP as well. Matt Shoemaker: The power righty has been quite good in two of the last three seasons and he finally cut into his always sky-high home run rate a year ago before disaster stuck in the form of a comeback that fractured his skull. While we have to worry about some emotional scars, Shoemaker has 180-K ability to go with an expected mid-3.00 ERA. Jerad Eickhoff: This is a classic SP 5 guy who is very affordable and who won't hurt you in any way. While Eickhoff doesn't have overpowering stuff, his four-pitch arsenal keeps hitters off balance to the tune of a mid-3.00 ERA and solid WHIP with some remaining upside. Robbie Ray: It is not often you see a pitcher pick up 218 strikeouts but post a 4.90 ERA and 1.47 WHIP. Clearly Ray is not a finished product but we always have a spot for an 11.25 K/9 starter. Carlos Rodon: I won't chase Rodon given the AL Central locale and his offensive home ballpark but there is no doubt that the fireballer began to shore up the rough edges last season. True 200-K potential. Lance Lynn: Coming off of Tommy John surgery, Lynn is a forgotten man in fantasy baseball which means you should strike on a guy who was in the Cy Young running as recently as 2014. Blake Snell: I have been gushing over Snell's potential for months now and that hasn't changed one bit. He struck out 98 batters in just 89 innings as a rookie but Snell has to smooth out his control issues to be even more of an impact starter. Chicago Cubs manager Joe Maddon confirmed on Thursday that he is indeed leaning toward having catcher/outfielder Kyle Schawarber begin the 2017 season operating out of the leadoff spot for the team; a move that will further enhance what is becoming quite a lofty fantasy baseball standing. It was a year ago at this time that Schwarber was the "must have" hitter in fantasy baseball but he lasted all of two games before tearing up his knee and not returning until the postseason. While Schwarber does strike out at a very high rate (which leads to a shaky batting average), he does draw walks and posts very good OBP numbers. That makes Schwarber a decent leadoff man despite the fact he doesn't have speed and won't steal more than a handful of bags, if any at all. With catcher eligibility remaining as a carryover from 2015, Schwarber is still being heavily sought after in fantasy baseball drafts and this news will only fuel that even more. Just keep in mind though that Evan Gattis is pretty much the same player who comes 8 rounds cheaper. Washington Nationals ace pitcher Max Scherzer is scheduled for his first bullpen session up on a mound for this Friday as he continues to begin the process of getting himself ready for the opener while battling a stubborn knuckle fracture going back to last season. Scherzer created a stir last week when he said he may not be ready for his Opening Day start due to the discomfort the fracture is causing him but he has eased off that assessment since, along with manager Dusty Baker. With still five-plus weeks to go in spring training, Scherzer has plenty of time to get himself ready and so there is not much in the way of panic going on yet, nor should there be in fantasy baseball circles. I would still suggest drafting Scherzer as the number 2 starting pitcher in the game behind Clayton Kershaw and am fully expecting the durable ace to be out there during the opener. Now when comparing the two, Nunez slightly beats Villar in average, and RBI, while losing a bit in home runs. Where Villar distances himself from Nunez is in stolen base (22 more) and in runs scored (19 more). So yes Villar was the more impactful overall player and should be drafted higher then Nunez this season. But right now Villar's ADP is an elevated 45, while Nunez comes in at 191. That is a gross difference between the two and the difference in steals and runs scored doesn't compute to them being this far apart. In fact, Villar is likely to see his average dip into the .260's this season as the .285 he batted last season was a major outlier for his career norms and he struck out at an insane 25.6 K/9 rate. So with a sizable gulf likely between the two in Nunez' favor when it comes to average, these two are a lot closer then you would think. So why the disparity? Well for one thing Nunez has been around longer and was a utility guy for years before his 2016 breakout. Thus many in the fantasy baseball community reflexively pigeon hole Nunez in that role and fully think his 2016 was a fluke. Meanwhile many forget that Villar was a failed prospect in the Houston Astros system before his big 2016 but again his average has always been a mess and figures to dip back this season. The disparity between the two is unreasonable and thus Nunez is the better buy by a decent amount. Digging into the mail bag this morning, I got a good question from Jon Basler on Twitter. You can continue to send me and the staff any fantasy-related questions through Twitter @RotoBoss. wow that is some list. I would dump Martinez for sure, I would lose Sale since he is now in AL East and lost some velocity last season, and last one is tough but I would go Posey. he is overrated a bit. Dunedin, Fla.--The Toronto Blue Jays went into 2017 spring training with a gaping hole in the middle of their potent lineup as a result of first baseman/DH Edwin Encarnacion's defection to the Cleveland Indians. While the Blue Jays did bring back veteran outfielder Jose Bautista, there are still many questions about the teams rotation and whether or not they lost too much power in the middle of the order once Encarnacion skipped town. Let's get to some of the more pressing questions from a fantasy baseball angle. 1. So with Encarnacion gone, what will the Blue Jays do at first base? The answer is not very impressive as they will go with a platoon involving Justin Smoak and journeyman Steve Pearce. Both Smoak and Pearce have power and the latter at least has shown he can hit for a decent enough average. However the fact that there will be a platoon here means that both have pretty much zero fantasy baseball value outside of deeper AL-only formats. 2. Kendrys Morales was signed to take over the DH role for the Jays in 2017. Is he still one of the better power buys in fantasy baseball? Absolutely. Morales has been an annual recommendation from our site as he supplies terrific power at a cheap price. The fact of the matter is that many in the fantasy baseball community moved away from Morales and put him out of sight/out of mind when he suffered that gruesome broken leg with the Los Angeles Angels. While Morales has not gone back to being the .300 hitter he was with the Angels, his power is still impressive as he comes off a very good 2016 campaign when he slammed 30 home runs (his second highest career total), collected 93 RBI, and batted ..263. The average was depressed slightly by an unlucky .283 BABIP but Morales is now 33 and so leakage there is not a shock. Instead, focus on how Morales hit 30 home runs in a pitchers park in Kansas City last season and that he is capable of matching that and even going higher with a full year in Rogers Center. 100 RBI is also almost a lock here as Morales will be hitting right in the middle of the lineup. While he is a UTIL or CI bat in most fantasy baseball leagues, Morales is an excellent buy again. 3. Is Devon Travis ever going to stay healthy enough to show the burgeoning offensive game that has flashed before? Travis is another guy who carries some tremendous potential fantasy baseball value this season as he hit .300 with 11 home runs in only 432 at-bats last season as he finally put ongoing shoulder trouble behind him. This is a future 20 home runs hitter who has already proved he can hit .300 and there is also some speed lying under the surface as well. Travis' current ADP is in extreme value range and at the shallow second base position, should be looked at a very good upside play this season. 4. Josh Donaldson is so consistently good that he is now boring to draft right? You know you are a special kind of performer when you enter into this type of class of player. Like with Miguel Cabrera over the last few years, Donaldson has reached the stage where he is so consistently good that it is not overly exciting to draft him. Be that as it may, we will gladly sign on for a 35-homer and 115 RBI monster like Donaldson should be again this season. While we would understand those who take Kris Bryant or Nolan Arenado before him, Donaldson should not last past the middle of Round 1 in drafts this spring. 5. How bad will the regression be for Aaron Sanchez and J.A. Happ this season? It should be sharp but for different reasons. Both Sanchez and Happ are on our DO NOT DRAFT lists this season and that is not primarily due to their brutal home ballpark. For Sanchez, the insane innings jump he made as a starter for the first time in his career last season almost guarantees that he will hit the wall in 2017 and see his arm "bounce" from all that work. Also Sanchez had a very lucky .267 BABIP last season that won't be repeated and his 7.55 K/9 rate is asking for trouble in the AL East. Meanwhile Happ was a punching bag for years until he somehow 20 games last season. His .268 BABIP was just as lucky as Sanchez' and Happ's 7.52 K/9 was also very shaky. Avoid like the plague. 2017 FANTASY BASEBALL BRIEF: MATT SHOEMAKER (SKULL FRACTURE) RETURNS TO MOUND WED.
Los Angeles Angels starting pitcher Matt Shoemaker returned to a mound to face hitters Wednesday for the first time since suffering a scary skull fracture from a comebacker to his head last season. Shoemaker has said he is mentally over the injury and ready to pick up where his major league career left off that fateful night. With two solid years out of the last three in the bank and with decent strikeout ability, Shoemaker is absolutely worth a look as an SP 4 for 2017 fantasy baseball. San Francisco Giants manager Bruce Bochy said on Wednesday that outfielder Hunter Pence is set to go in Cactus League games after recovering from an earlier oblique strain. Pence has dealt with constant injuries the last few seasons but at least for now, is ready to get back on the field fully. While we always have had a soft spot for Pence and his underrated five-tool ability, he is now nothing more than an aging OF 3. In New York, the debates are already beginning regarding which team among the Yankees and the Mets has the better shortstop prospect. The two contenders for each side are Gleyber Torres for the Yankees and Amed Rosario for the Mets and the hype is real when it comes to both. No matter what top prospect list you look at, Rosario and Torres are in the top ten and in some the top five. Both are also ahead of the other in different rankings as well. So the debate is underway in terms of which guy is going to turn out better like when the two sides argued over rookies Derek Jeter and Rey Ordonez (yes this actually was a debate at one time, as laughable as it may sound now). A few weeks ago we profiled Torres and so today lets dig in more on Rosario. At just 21-years-old, Amed Rosario is incredibly young but also incredibly gifted. Not only does Rosario have excellent defensive skills that many think will make him a Gold Glover at the Major League level, his offensive ceiling is as high as it goes as well. In fact many think Rosario is the best overall hitting prospect in baseball and his results at Single-A and then Double-A last season did nothing to dull this thought. Starting out at Single-A, Rosario batted .309 with 3 home runs and 13 steals in 290 at-bats. That earned Rosario the promotion to Double-A where he tore the cover off the baseball to the tune of a .341 average with 2 home runs and 6 steals in 237 at-bats. With K/9 rates of 12.4 and 20.5, to go with BB/9 rates over 7.00 at both levels, Rosario is already showing an advanced bat that will allow him to hit .300 on an annual basis in the major. Rosario also runs very well as evidenced by the stolen bases and 20-plus at the major league level is also going to be in the cards. Then there is the power which is just now starting to show itself. We hear comparisons to a young Hanley Ramirez here which is also what was said about Carlos Correa when he first came up to the Houston Astros and that alone makes Rosario very interesting. In terms of 2017 fantasy baseball, Rosario is not likely to be heard from unless injuries take out Neil Walker or Asdrubal Cabrera. With both Walker and Cabrera over the age of 30, this is not far-fetched in terms of Rosario coming up as an injury replacement. He should absolutely be drafted in all mixed fantasy baseball leagues given the massive upside but only in the late rounds given the lack of opportunity with the Mets as of this writing. The future is very bright indeed however. 2017 FANTASY BASEBALL BRIEF: ZACH WHEELER MAKES IS THROUGH A SECOND BULLPEN SESSION WED.
Rehabbing New York Mets pitcher Zach Wheeler made it through his second bullpen session of spring training, tossing 30 pitches with no pain. After some initial discomfort in his Tommy John-repaired elbow, Wheeler has now gone two sessions without pain. The arrow is now pointing upwards for Wheeler but he still faces a decent-sized road back to show he can operate with a healthy elbow. He has decent enough SP 5 value in all fantasy baseball leagues if he can make it to the season but again that is far from a given. Only a week into spring training and Josh Hamilton is already injured. The Texas outfielder will head for testing on Wednesday after he felt pain in the same knee that was surgically-repaired last July. Hamilton is trying to make good on a comeback attempt with the Rangers where the magic took place in his short burst as a top tier slugger. A non-roster invitee, Hamilton reportedly was slamming the baseball with authority in camp leading into this issue. Until Hamilton shows he can stay healthy for more than a week, he has zero fantasy baseball value but his home base in Texas at least keeps him as someone to continue monitoring if he is in fact playing games. Devon Travis ADP 187.7 could pay off BIG! Zack Greinke ADP 88. off that season? James Paxton ADP 166.7. go get him. #FantasyBaseball Love this kid. Aaron Nola ADP 170.3. He will be on every one of my teams this season. Now for the closers I will avoid for 2017 fantasy baseball. There will be an easy to notice trend here. Kenley Jansen, Aroldis Chapman, Zach Britton, Mark Melancon, Seung Hwan Oh: All of those guys are supreme fantasy baseball closers and all will command big dollars at the draft table. A cost that I will NEVER pay. In fact I smile to myself in a draft when these guys are taken since there are more good players left for more to choose from at other positions. Wade Davis: Davis is high-priced AND a Tommy John surgery risk since he has had a few scares with that already. Craig Kimbrel: Has big name brand but also sliding stuff and himself an increased injury risk. Jeurys Familia: Already looking at a 30-50 game suspension due to his domestic violence incident and honestly I don't like owning guys who do this. Personal vendetta. Alex Colome: I like Colome and have all the respect for what he did last season but he figures to get traded by July and so I don't want to worry about getting nothing from the guy once that happens. Yes Colome could get moved to a team needing a closer but often deals like this end up in a setup situation. A.J. Ramos: Always has trouble with walks and now has the very intriguing and capable Kyle Barraclough breathing down his neck. Francisco Rodriguez: Velocity is slipping badly and has been for years and the home runs are really sailing out at a high rate. Red flags everywhere. Sam Dyson: Guys who have a mediocre K rate like Dyson does get exposed before too long. It will happen here for sure so don't bother. Brandon Kintzler: Truly horrific K rate for a guy who will work in the ninth inning and this can get ugly real quick. Jeanmar Gomez: The Phillies are fooling themselves if they go back to Gomez in the ninth inning this season. He can;t strike anyone out and by the end of last season opposing hitters were going to town on him in very ugly fashion. Ryan Madson: Can easily get replaced by Sean Doolittle or Santiago Casilla. Madson's stuff is fading quick. Tony Watson: Struggled finishing games when given the chance last season which is a bad sign for the 2017 campaign. Baltimore Orioles closer Zach Britton suffered an apparent oblique injury that currently has him heading for testing to determine the severity. Britton was scheduled to take part in a throwing sessions on Wednesday but he has been scratched from that outing. Having come off an epic season in 2016 where Britton was the best closer in fantasy baseball, this is not the kind of news you want to hear. On the bright side, the season is still more than a month away and so Britton has plenty of time to recuperate. Let this be a reminder though that paying top dollar for ANY closer is inherently risky and that includes Britton. Stay tuned. Ahhh yes the closers. The fraternity that sees more turnover and volatility then anywhere else on the field. It is for those reasons that I annually tell you all to avoid paying the freight for the top closers and instead look for value elsewhere. The turnover at closer always includes some of the big names that either get hurt or traded or simply have a poor year so no one is immune here. So I will be bargain hunting here again and playing the wire as saves appear there all season long. Here is who I will target. Cody Allen: I think the price on Allen will be somewhat decent as Andrew Miller's presence could knock it down a bit. Also Allen struggles in April on a yearly basis so he is a decent buy low early in the year if you don't get him. His strikeout stuff is immense and his 2.51 ERA last season showed how in control Allen was. Edwin Diaz: I would love to have this insane flamethrower as my top closer but I think the price might go a tad high. Still the screen in Seattle tends to make players here a bit cheaper and Diaz is the real deal as shown by his insane 15.3 K/9 last season. Raisel Iglesias: Failed as a starter but Iglesias was a monster in the bullpen down the stretch last season. Had a 1.98 ERA and .165 BAA against there and the upside is sizable. Nate Jones: I think David Robertson will be traded to the Nationals at some point which will make the very capable Jones a terrific value pick. Hector Neris/Joaquin Benoit: Either guy should be the closer and NOT Jeanmar Gomez and his pathetic K rate. Glen Perkins: Willing to take a late round gamble here as Perkins has more than proved himself as a closer but his shoulder a big issue. Carter Capps: Meet the next great power closer. Only the awful Brandon Maurer stands in this fireballer's way.